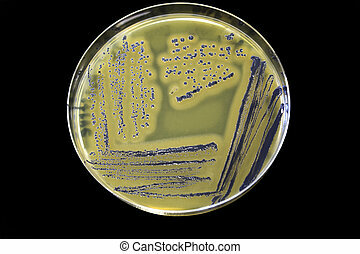 Colonies of Gram negative bacteria growing on the culture plate. 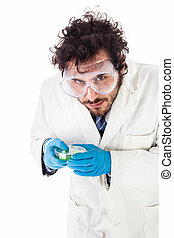 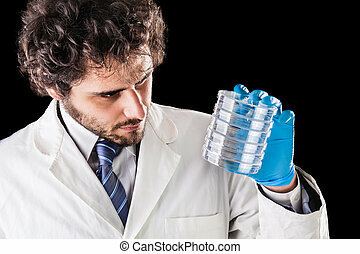 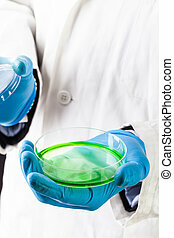 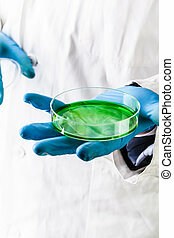 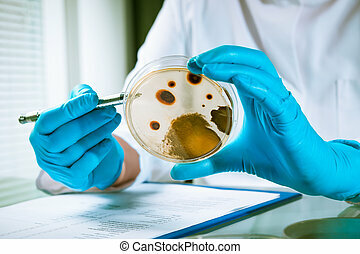 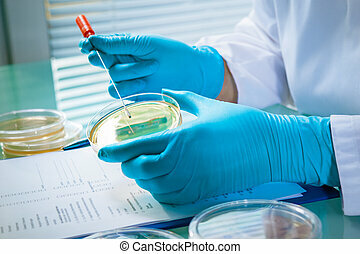 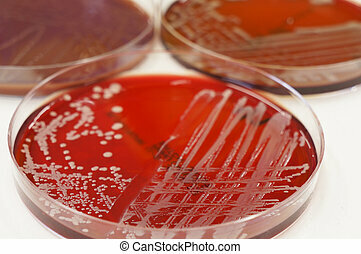 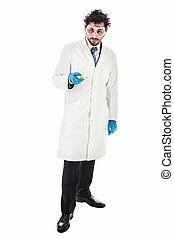 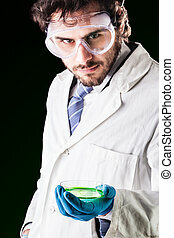 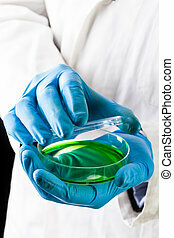 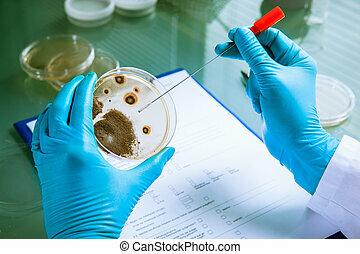 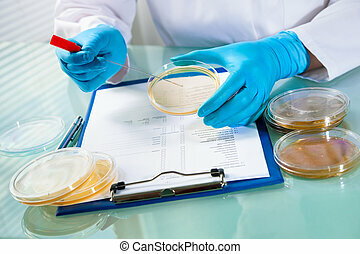 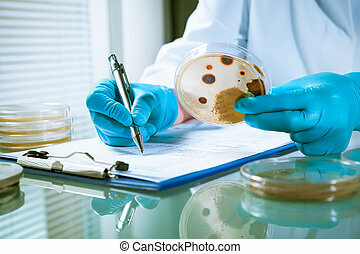 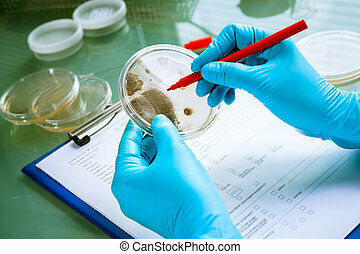 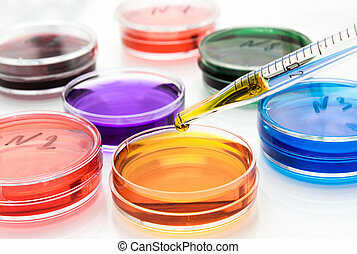 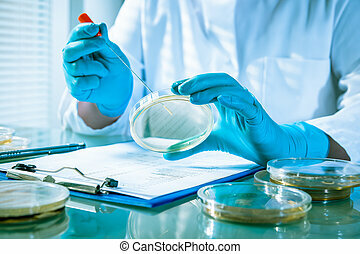 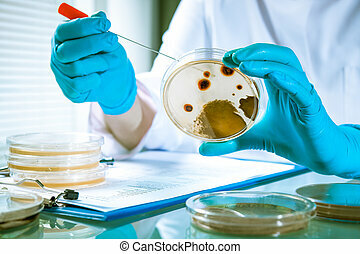 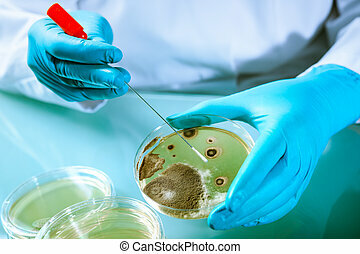 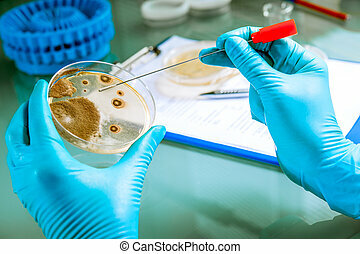 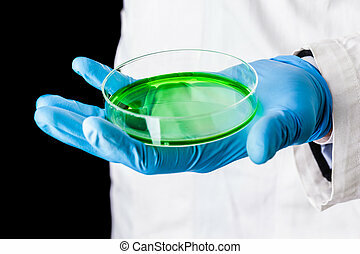 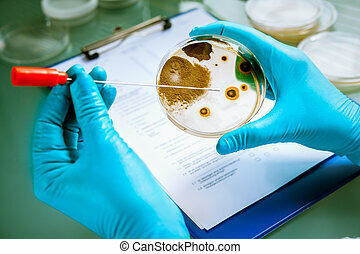 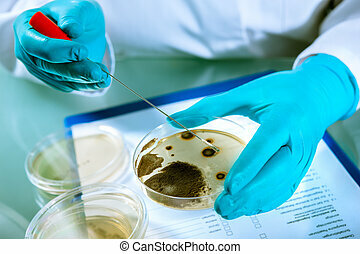 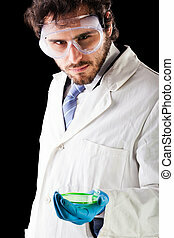 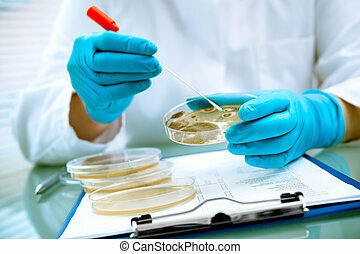 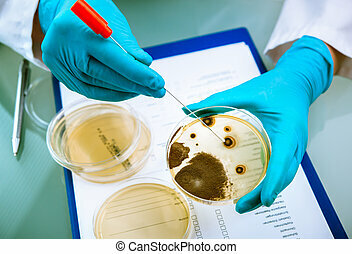 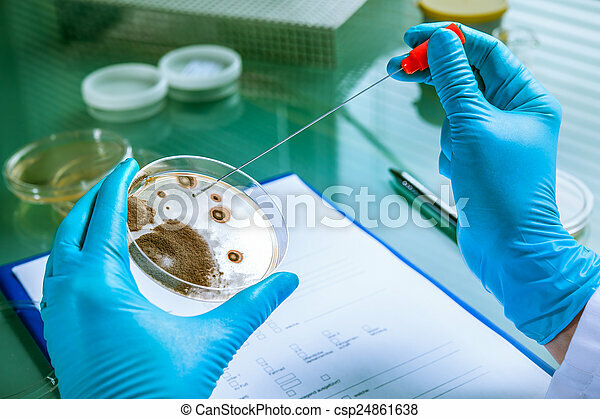 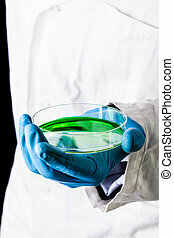 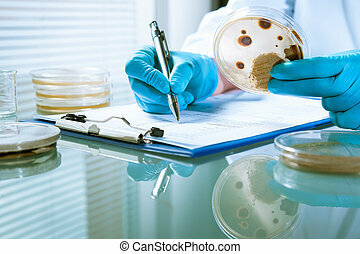 Focused senior life science professional grafting bacteria in the pettri dishes. 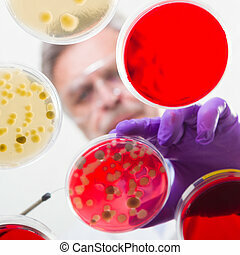 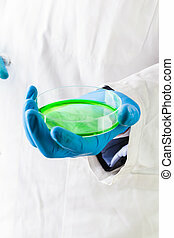 Lens focus on the agar plate.